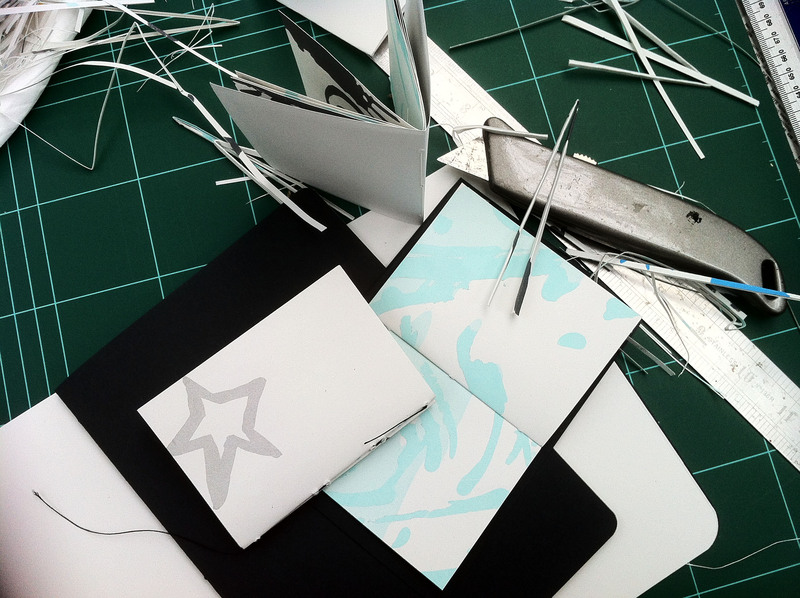 Simple screen printing and book binding workshop. 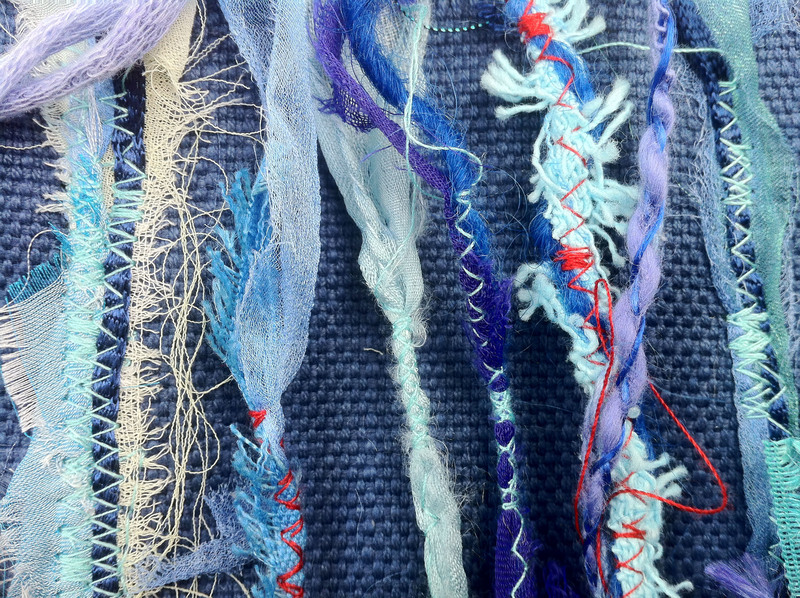 but all full of highly original texture, rhythm and colour. Paul Wadsworth (165) for his expansive acrylic / oil canvases, heavily textured and full of joy. 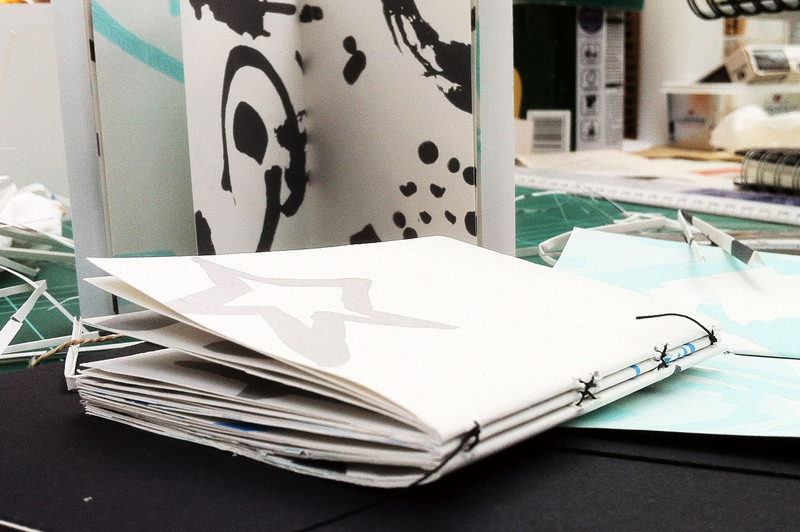 Esther Connon (101) makes hand bound and screen printed books with narrative based illustrations of rare quality. Susanna Bauer, (159) for her delicate but exquisitely sculpted and stitched leaves. 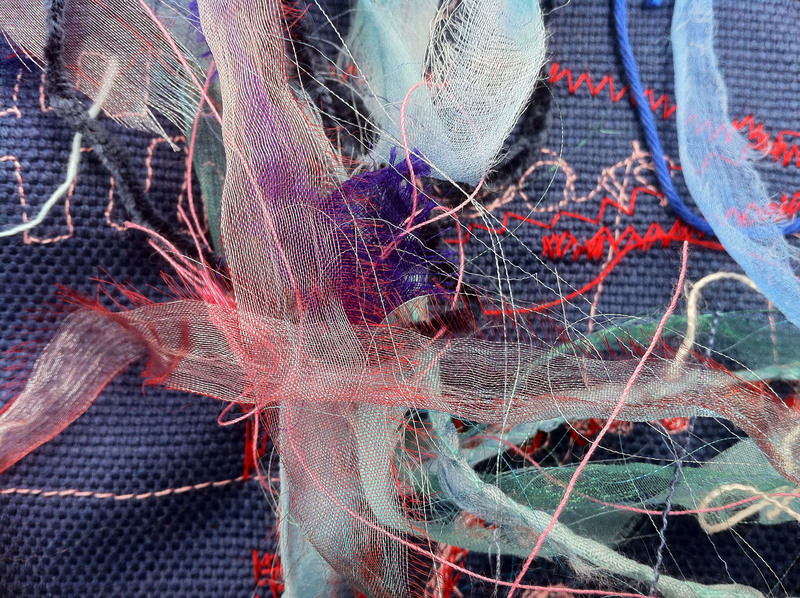 Rebecca Ball (23) produces one-off pieces of stitched paper map collages and embroidered birds in migration. Daniel Cole (25) is obviously a lover of nature producing small oil paintings and sketch books full of bird studies. Nina Ducker (40) wall hung ceramic pieces often in multiples, inspired by sea and landscape. A ceramicist with a painter’s sensibility!